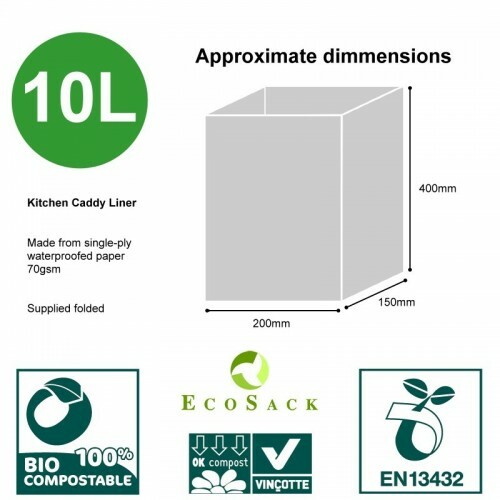 EcoSack compostable paper caddy liner bags are extremely strong and a good alternative to starch based bags. The paper can “breathe”, reducing odour, leachate and weight. 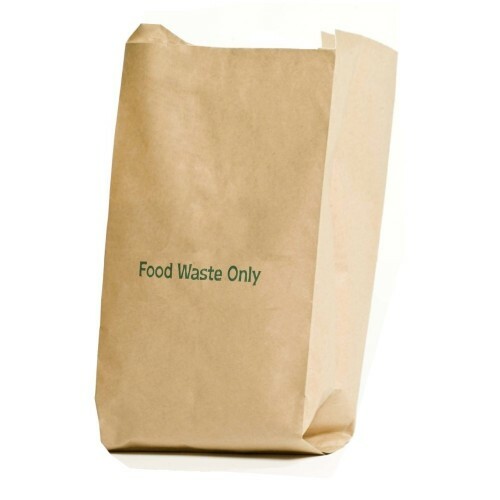 A practical solution to help keep your kitchen food waste compost caddy bin clean and hygienic. Constructed from single-ply 70gsm waterproofed paper. They are fully compostable and biodegradable and the full wet strength helps to ensure they won't break when holding wet contents. Designed to extend over the top of most caddies, enabling the liner to be easily lifted from the caddy when full of waste. The liners and sacks are environmentally certified, made from tree flakes from parts of the tree that would otherwise be wasted. The trees are from a renewable resource of softwood from Scandinavian forests, not hardwood from rain forests.